P2P also known as peer to peer is an online protocol that we all know and that is used by most of the file sharing networks for transferring large movie, software and other files via the internet. There is now a new kid in town known as (cue fanfare) P4P or its slighly longer term Proactive network Provider Participation for P2P. Now apart from being a mouthful P4P being introduced by a company called Verizon Communications. Unlike the P2P format which selects random peers to share bits and pieces of content randomly with and doesnt consider the actual location of where th data is. So for example data from London and China travelling to New York. P4P uses AI to select the most efficient and nearest data streams between P2P connections. P2P eats a massive amount of bandwidth causing service providers a resource problem. Comcast the large Cable operator has even resorted to slowing down certain peer to peer traffic to keep its network running efficiently. P4P performance boosts download speeds by 200 – 600 percent on P2P. At an upcoming conference in New York, Verizon will present their test results, which show that when an ISP cooperates with file-sharing, they can speed downloads an average of 60 percent. This exciting P4P technology will soon start being utilised although you wont really notice apart from your download speeds increasing. Whoopeedoo. We all know that every network and his dog are jumping on the internet TV bandwagon, so i thought we would post a list of all the best 15 TV networks that are broadcasting via the net. Some of these are USA only streams. But fear not you can view the streams in any country by using the IP changing Hotspot software (download details here). 1. ABC Full Episodes: For your viewing pleasure watch full episodes of all the popular ABC tv shows such as Lost, Grey’s Anatomy and many more. Some are even shown in HD. 2. NBC: Watch The A team, Bionic Woman, Buck Rogers, the office and many more classics. 3. CBS: Watch full episodes and previews of the top CBS TV shows such as Jericho, Survivor, CSI and even (gasp) Big Brother. 5. The CW Video: Supernatural, smallville and many more vod videos to make you drool. 6. Food Network: Mmmmmmm Food as Homer would say. Here you can watch and learn how to make scrummy food that will delight and amaze your friends. Well maybe not, but theres some great food copoking here. 7. Fox on demand: Watch Prison Break, Simpsons, King of the hill, 24 and many more on the very flash looking Fox On Demand site. 8. HGTV: Everything DIY and house improvement related. Watch videos on dream homes, kitchens, bathrooms plus many useful tips to improve your home. 9. The History Channel: How about actually learning something while you watch TV? Great videos that educate as well as entertain. 10. My Lifetime: All you housewives and husbands of course, watch many shows including How to look good naked!, Americas Psychic and more. 11. MTV: Watch some banging tunes on the online version of MTV. 12. SciFi: Watch all your Scifi favs and immerse yourself in other worldy shenanigans at the Pulse. 13. SOAPnet: If you love soaps and cant wait for the next cliffhanger… Check out soapnet. 14. TV Land: Retro TV. Here you can watch classic 50’s to 70’s commercials TV, songs and more. 15. VH1: For those of us a little too old for the headbanging rap of MTV, watch the more sedate VH1 music and shows. If you know of any ive missed post away. Im off to watch 24. Hulu the newly launched ‘Free on demand video’ from the most popular Studios and online networks including Fox, NBC, Bravo, Comedy Time, E! Entertainment Television, Fox Atomic, Fox Reality, FX Networks, Golf Channel, Movieola, National Geographic, Oxygen, Sci Fi Network, SPEED, Fight Network, Style Network, USA Network and many more. The aim of Hulu is to provide viewers with the biggest, most comprehensive range of online premium shows and movies all for free and as it has the support of most major TV networks it will become a big player in the internet TV market. The downside is of course that because of copyright issues all Hulu’s contenet is viewable from the USA only. Boooooo. Of course for viewers outside the USA there are always ways and means and in the pursuit of fairness, here it is. Install the following IP changer and you will be able to view. Download Hotspot Shield from here and after installing and running you will be able to view nott only Hulu but CBS, ABC and all other USA only content providers. I will be writing a comprehensive article on IP changing to enable viewing of all these networks in a future post. Use file sharing P2P and Torrents legally! You can now download movies, tv shows and music legally and keep your halo intact. 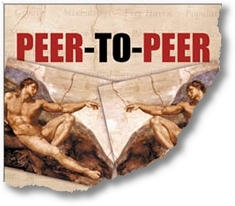 The terms file sharing and peer 2 peer have some pretty shady and negative connotations. Always being reported in the press due to yet another legal battle involving music and movie downloads, but did you know that there is nothing illegal about p2p networks? You can use them perfectly legally to share files and they are used legitimately by a great number of people. Every one has heard of Napster the original p2p network created by 18 year old Boston student Shawn Fanning. This was at the time, mp3 and digital music players were just taking off. In a landmark case Napster was shut down but although the act of sharing digital files was illegal, Napster didnt actually host any files just let different people share between each other. and this made it hard to implicate Napster in any crime. Whilst illegal share filing continues to be popular, the large corporations have recognised that they cannot stop this massive tide and are in fact embracing the concept. The benefits are numerous. Digital downloads are much more cost effective. Companies can now cut out the middleman and sell direct to you making more profits and charging less. A number of companies have already jumped on the p2p bandwagon. Bittorrent the popular ‘legal’ torrent website has signed deals with high profile companies including Warner Bos, Twentieth Century Fox, and Paramount meaning a selection of Movies and TV shows are available to watch for free. The majority of content is charged for but interestingly the prices are significantly lower than shop prices. There are many proponents of the $5 monthly subscription P2P model, with the revenue being shared out amongst Studios and actors, the movie and music industry would at least be able to bring in some revenue as opposed to none. 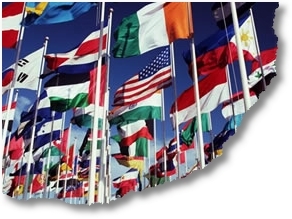 In our new position of United Nations of Internet TV, we have added a new country search to world tv pc. You can now watch international TV from around the world. This is an area where internet TV has leapt above terrestrial, cable and satellite TV. You can now watch hundreds of multinational TV channels. Watch TV from the following countries and expand your knowledge, improve your multi lingual skills, become a nicer person etc. etc. We will go into each country in depth in future articles, giving channel descriptions and rating the best, worst and weirdest. P2P BitTorrents whats the difference? We have all in those quiet moments asked those philosophical questions.. Whats the meaning of life? What came first chicken or egg? What the hell is the difference between P2P and BitTorrents??? If you share my curiousity then read on and become intelligent. What is the difference between a P2P client and a Bit Torrent client? Its not really that easy to answer because they are pretty similar with just subtle differences. They both make use of the collective to download and share files. Making use of many different PC’s that are hooked onto the network. Bit Torrents make use of multiple computers and receive any file in pieces/packets/chunks. The torrent breaks the files into small pieces, thus letting you download that precious file from many so that for every chunk you download, it gets uploaded to another person who wants it. It doesnt just get it from one host but shares the loads from many hosts or different people at the same time. This can make it a much faster system for transferring large files than a P2P network. After downloading the parts are combined into one and the file is on your hard drive ready for use. if you share your files on Bit Torrent then your reward will be an increased download speed. However if you just leech and dont share your files then your download speeds will be slowed down. So in effect your generousity is rewarded. This downloading speed is controlled by the BitTorrent tracking servers. They will monitor all of the ‘swarm’ users. If a user shares files then the tracker servers reward you with and increased swarm bandwidth allocation. Dont share and you’ll find your downloading speed creeping around 1k per sec. P2P or Peer 2 Peer is a host 2 host transfer where the entire file or files are transferred directly between 2 different computer users. You do have more knowledge as to who the files come from, but on the downside the speed of transfer is totally down to the speed that the other PC can send file data. Both have their benefits and disadvantages, peer2peer (P2P) is good for downloading small files such as single track songs (but not cd’s), movie clips etc. Bit Torrents are suitable more for the larger files. But i like to use FrostWire (p2p) for small files and Azures (torrent client) for large files.